If you’re like me, you probably like having high quality things, but being the best doesn’t always equate to being of quality. If I finish a race last, I am technically the best loser. When I started running, I thought it was a competition with the other runners. What I didn’t realize until my first race was over, the biggest competition was me vs me. No, I’m not talking about everyone being the winner and honorable mentions, I mean that the purpose of running for me, was quite simply to make a better me. A person more focused on being healthy, fit, and strong. After running that first half, I gave up caring what my times were in relations to others, I am not Meb or Galen Rupp, I am a 2:03:11 half marathoner and a 5:08:22 marathoner. I will not run a time to qualify for the Olympic trials and honestly, I doubt I will actually qualify for Boston. BUT, that is where I push myself to compete against my previous times and my own mind. Running is meant to be more than just exercise, it is a release. Remember that the entire objective is to be “The Best of YOUR best”. The IMM is one of the 20 largest marathons in the US. 2016 brings new sponsor to the race making it the CNO Financial Indianapolis Monumental Marathon. I would say this is one of the best races around, especially for a fall marathon on a fast course. Starting and finishing at the Indiana State Capitol, the course highlights landmarks and historical neighborhoods throughout Indianapolis. Along with a half marathon, 5k, and kids fun run, race weekend is full of events for the entire family. The Monumental Health and Fitness Expo at the Indiana Convention Center kicks off the event with two days of talented expo speakers, vendors, and opportunities to show your monumental spirit. I am just returning from a long term sabbatical from this blog and social media related to my fitness account. I just needed some time away. That’s not a good excuse, but it is the reason. Back in 2013, I was up to 209 pounds on my 5’11” frame. My fitness was subpar at best and I had very little motivation to do much of anything. One day in October 2013 I got the bright idea to run a half marathon. Two weeks later, I ran my first half marathon with no training. Wait, there’s more! 15 days later I ran a second half and destroyed my knee. Although my knee couldn’t support any weight for a few days, I was addicted and dove in head first to running. In November of 2015, I ran my first full marathon at the Indy Monumental Marathon (Check out my review). I loved the full, but it destroyed me in a way I wasn’t prepared for. The farthest I had ever ran before race day was 13.1. I had barely ran any training and was to hard headed to do it right. I had a near mental break down at mile 17 when I wanted to quit. My body was quitting, my soul was missing, and my desire was extinguished. Texting my wife while squatted behind a parked car near the 17 mile marker, she wouldn’t let me quit. Let me tell you, the encouragement she gave me in those moments were CRUCIAL to getting me over the wall. Pushing hard, I finished the race. With tears in my eyes as I turned down the last 0.2 mile stretch, I crossed the finish in a personal best 5:08:22 (the first one always has that freebie). I finished, I ran a marathon. I thought the hard part was over…I wasn’t ready for the coming days, weeks, and months. That race took more of a toll on me than I thought at the finish line. It beat me up emotionally and mentally, ironically I wasn’t hurting physically that much at first. I took a couple weeks off my running, fitness, and diet. Then Thanksgiving dinner came and went. Soon it was Christmas time and I would get back on the wagon for the New Year. Let me fast forward and tell you but July 1, 2016, I weighed in at 206 pounds and considered myself a loser in my personal fitness journey. In July, I took a strict approach to a Ketogenic aka Keto diet that was extremely low carb, high fat and protein diet. I was able to leave for vacation August 1 at 186 and feeling amazing. Let’s just say I was not on diet for vacation. Although I am not fully back on keto yet, I am doing well and motivated for the coming fall racing season. In October, I’m running the Urban Bourbon as a representative of BibRave. Then in November, I’m tackling the Indy Monumental Marathon again. This time, going in with a stronger mindset and understanding of the process. Ok, I’ve rambled enough. I took some time away, because I needed it for me and my family. But I’m back. Thanks for reading. Question: Have you ever had to take a break from fitness? You can leave a comment by clicking here. The 3rd Annual Urban Bourbon Half Marathon is Oct 22, 2016 in beautiful Louisville, KY. The event, although in its 5th year, was known as the Louisville Sports Commission Half Marathon in 2012 and 2013 before becoming the Urban Bourbon Half in 2014. The UBHM is a representation of the strong ties to Kentucky and the bourbon industry. If you're looking for a fall marathon that is beautiful and exciting, this is the one for you! 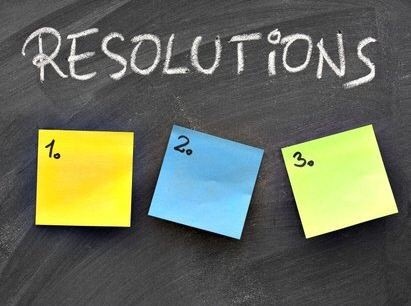 Well, it is approaching mid February so I wanted to post how my resolutions were going and ask about yours. Summed up, not well. I am way off track for my 2016 goal of mileage. Between weather and health it has been quite a battle. I had bronchitis after Christmas and am still having lung issues from it. Enough about me, how are your resolutions going? Don’t forget to join us on #bibchat every Tuesday at 9PM ET. 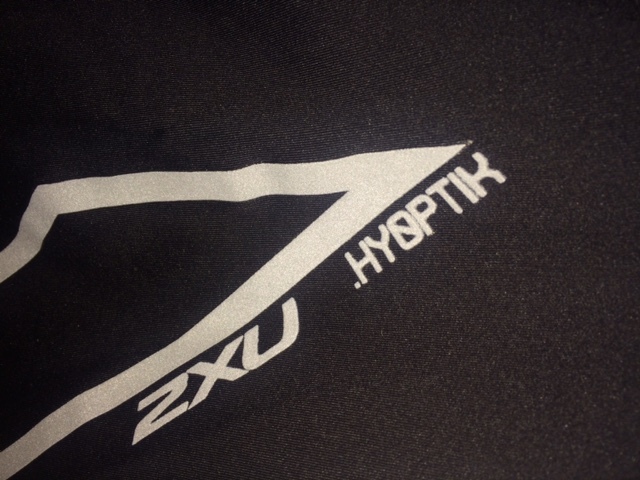 “Disclaimer: I received a pair of 2XU Hyoptik to review as part of being a BibRave Pro. Learn more about becoming a BibRave Pro (ambassador), and check out BibRave.com to review find and write race reviews! I have tried a wide variety of compression gear for all types of fitness, specifically running. I have found each have their pros and cons. One caveat I will issue, I do not typically care for tight fitting clothes, especially on my legs. 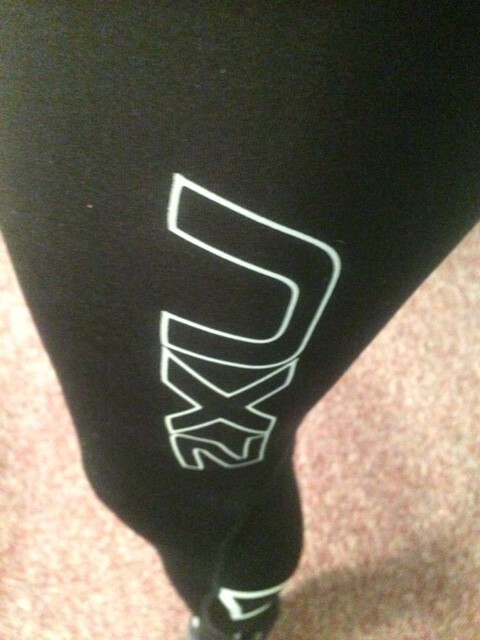 I have a pair of 2XU’s MCS Compression running tights that I actually love quite a bit (I reviewed these in November). Unfortunately I was battling bronchitis during the majority of this testing period but worked in a few miles for testing. The weather in Kentucky has been crazy. 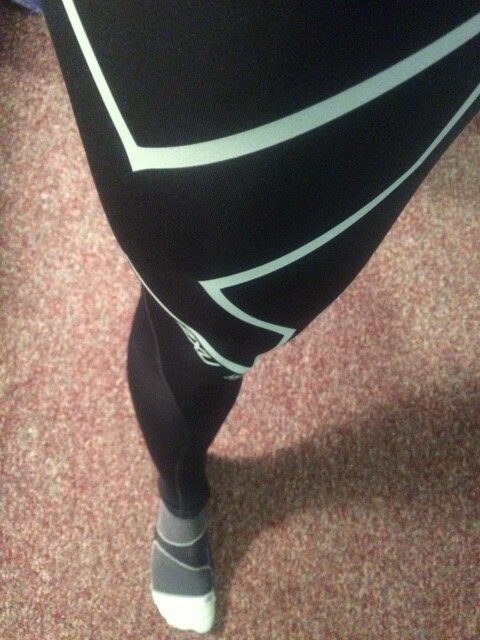 The first couple weeks that I had these awesome tights in my possession the mercury was far to elevated to wear regular compression tights much less thermal tights, at least for me. Once I was able to get into these and run I quickly decided that they definitely had a purpose that I could work into my workouts and races. For me, these are reserved for sub-freezing runs. I wear short sleeves and shorts down to around 35 degrees to keep from overheating. The past week has been PERFECT weather for these thermal tights when temps dropped to single digits with a negative windchill. I even substituted my thermal underwear with these while working a 16 hour shift during #Jonas2016 this week when I left my normal work attire at home. These things were not only comfortable for 16+ hours, they truly kept me warm and able to function, even during an emergency situation (I work in public safety). If the Louisville Triple Crown of Running is anything like 2015, I will be wearing these for the Anthem 5K on February 28, the first event of the Triple Crown. I wish I could have put in about twenty five miles in these to truly get a feel for how I would like them on longer runs where I typically overheat, but at this point I know I will be good for 5Ks and 10Ks, perhaps very cold halfs or fulls. I will continue testing and evaluating and update in the future. 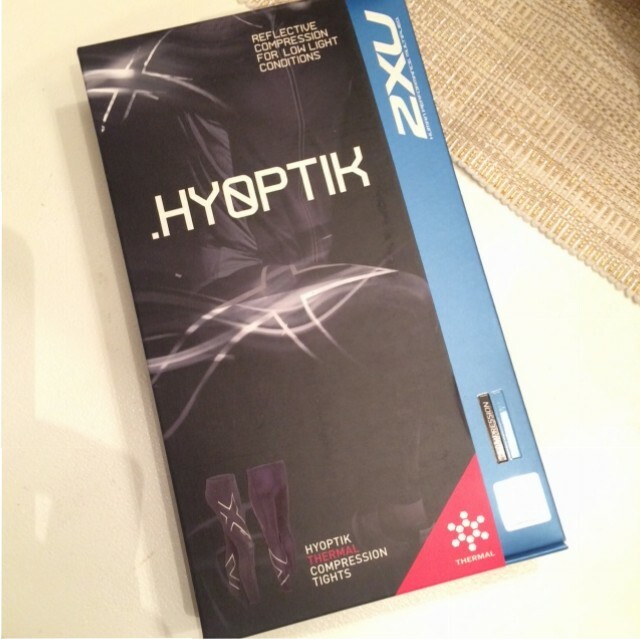 The 2XU Hyoptik tights feature several benefits in addition to compression (the compression is targeted to increase blood flow). The logos on the fabric are reflective to add visibility and safety while running at night. I tested this with flashlights in a dark room and they were very visible. The thermal layer is comfortable and definitely capable of keeping you warm. Best of all, UPF50+ sun protection, which is great for my fair complexion. These tights provide critical compression and support to key areas to improve blood flow and also support muscles. The thermal layer is thin enough to allow freedom and movement. I will be saving up for another pair of these tights, sadly in one size larger. I typically wear a medium but I should have known that compression gear runs a little tighter. The medium was not uncomfortable, however I think a large would allow me the most comfort. If you live in an area that gets cold weather and need an excuse not to run, then don’t buy these. If you buy these, your excuses are GONE. The Urban Bourbon Half Marathon is a continuation of the Louisville Sports Commission Half Marathon that dates back to 2012. In 2014, after merging with Republic Bank Big Hit Half Marathon, the LSC Half Marathon became the Urban Bourbon Half Marathon focusing on a “fallrunathon” series that starts in September with a 5K and 10K before finishing with the 13.1 fall run. This was my second Urban Bourbon Half (2014 Review) and third LSC (2013 Review) produced half. The weather varies greatly from year to year based on the unpredictable forecast of the Ohio Valley. This year’s weather was a near perfect 65 degrees and cloudy. It did rain a few times throughout the run, but they were usually spot showers and not heavy rain. The temperature made it nice not only during the race but also at the post-race celebration. Next Saturday on November 7, I will undertake my greatest challenge yet, a full 26.2 mile marathon. Ok, when I word it like that I become even more nervous! Why am I nervous? Well let’s just say training did not go as planned. Unfortunately I spent some time under medical restricted guidelines this summer that left my running to around 10 miles total between August and mid October. 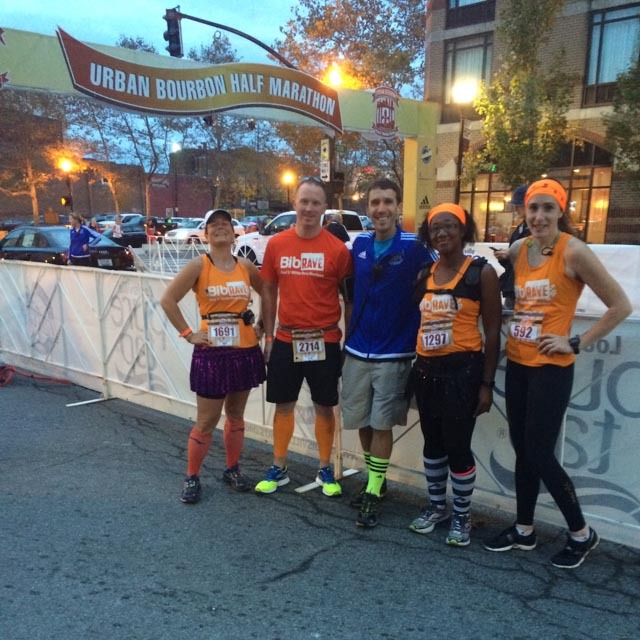 Last Saturday I managed to run the Urban Bourbon Half Marathon in Louisville. Although this was not my greatest performance, I did not feel fabulous through most of it and finished about 17 minutes slower than my PR in the half distance. I felt strong by the finish and knew that it was my training and strength conditioning prior to my surgery that allowed for me to push through a half with no training and feel good. Now, about that full. I completely understand the full and half are two very different beasts. I think this is why I am so nervous. I have been planning this race for a year and signed up on New Years Day at an incredible $65 discount price. My cousin is running this same race as his first full, I was finally gaining on his times when all of this fell apart. So, here is my strategy. Finish. The cutoff is 6:30:00, or a 15 minute mile pace. I plan on using almost all of that. Disclaimer: I received Wigwam Socks to review as part of being a BibRave Pro. Learn more about becoming a BibRave Pro (ambassador), and check out BibRave.com to review find and write race reviews! I like my feet! Let me clarify that statement. I like to take care of my feet, they are good to me and help me get from point A to B and are a critical part of my job. I am so concerned with it that I have five pairs of shoes in my running arsenal. In addition to shoes, I also have multiple pairs of socks, with multiple brands, each with different types and distances of races. With that said, my review is from a personal perspective of socks and what I need out of a sock. It is in no way a determination of technical design pros and cons or the quality of the sock, simply how it worked for me. Life has been very hectic over the last three weeks. 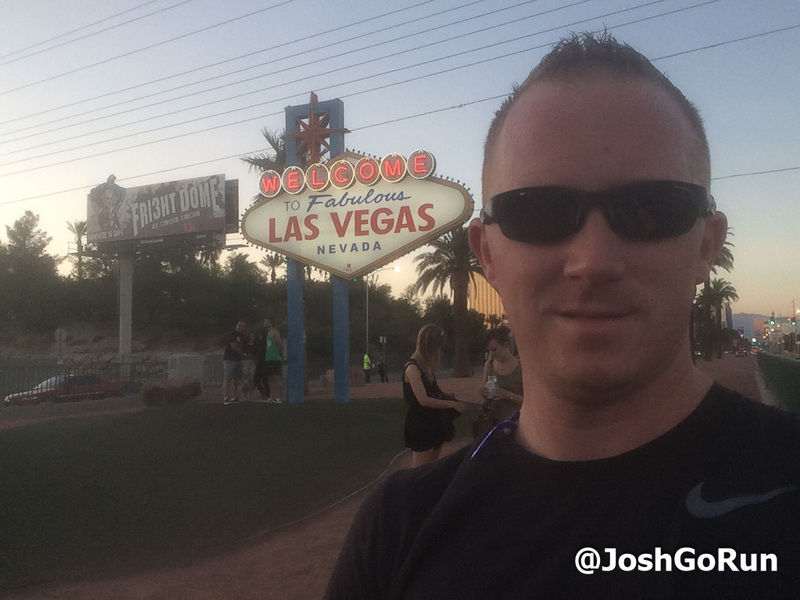 I was in Vegas for a week at a work conference and have had a lot of time at doctor’s offices getting cut on as well. Back in July I had an injury on my neck that resulted in stitches. The cut was deep so I had to let my neck muscles heal which cut my running instantaneously. I logged less than 10 miles in that month and they were slow, painful miles. Although tonight’s 5k involved walking and hurt when breathing, I was very happy with a sub 28 minute 5k. I have right at 9 weeks until my first marathon, which is worrisome for me. I have reevaluated my goal of 4:17:00 to 4:45:00 in light of unplanned training cut. I’m pushing through and want to cross that finish line so bad.